Wolves are some of the world’s most charismatic and controversial animals, capturing the imaginations of their friends and foes alike. Highly intelligent and adaptable, they hunt and play together in close-knit packs, sometimes roaming over hundreds of square miles in search of food. Once teetering on the brink of extinction across much of the United States and Europe, wolves have made a tremendous comeback in recent years, thanks to legal protection, changing human attitudes, and efforts to reintroduce them to suitable habitats in North America. As wolf populations have rebounded, scientific studies of them have also flourished. But there hasn’t been a systematic, comprehensive overview of wolf biology since 1970. In Wolves, many of the world’s leading wolf experts provide state-of-the-art coverage of just about everything you could want to know about these fascinating creatures. 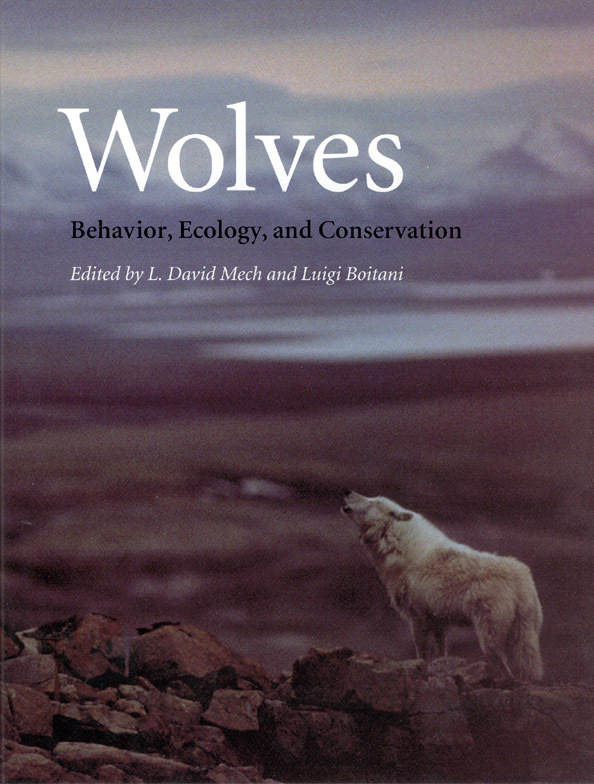 Individual chapters cover wolf social ecology, behavior, communication, feeding habits and hunting techniques, population dynamics, physiology and pathology, molecular genetics, evolution and taxonomy, interactions with nonhuman animals such as bears and coyotes, reintroduction, interactions with humans, and conservation and recovery efforts. The book discusses both gray and red wolves in detail and includes information about wolves around the world, from the United States and Canada to Italy, Romania, Saudi Arabia, Israel, India, and Mongolia. Wolves is also extensively illustrated with black and white photos, line drawings, maps, and fifty color plates. Unrivalled in scope and comprehensiveness, Wolves will become the definitive resource on these extraordinary animals for scientists and amateurs alike. "This will undoubtedly become the standard work on wolves for academic and professional collections." "This book is the first comprehensive review of wolf biology since Mech’s original work. It provides an excellent compilation of current knowledge, with contributions from all the main players in wolf research over the past few decades who are still alive. It is designed for a wide readership, and certainly the language and style will appeal to both scientists and lucophiles alike. . . . This is an excellent summary of current knowledge and will remain the standard reference work for a long time to come. And by today’s standards, it’s refreshingly cheap." "Everything you wanted to know about wolves!" "There is no single source that compiles more information about wolves, and this compendium will stimulate a new generation of field biologists to design studies to fill the many gaping holes in our understanding. . . . For its price, this is a bargain of a book." "One of the best books ever published about any wild carnivore species. Its 13 chapters cover a great swathe of topics—social ecology, behaviour, reproduciton, communication, feeding ecology, predator-prey relationships, population dynamics, physiology, molecular genetics, evolution and taxonomy, interactions with non-prey species and with humans, and conservation." "[The book] provides one of the most extensive descriptions of the ecology of any mammal species in the world. . . . [It] brings together research conclusions on any conceivable topic related to wolves, very useful either for the interested person or the biologist." "The book is a highly valuable addition to the bookshelf of anyone who would like to know more about why living with wolves will continue to challenge us and provide perspective on our own ecosystem role."